The composite, headline index for global manufacturing improved slightly, to 51.8 from 51.6. The output index and the input price index were both up, but new orders and employment were down. The decline in the new orders index does not bode well for the near-term PMI numbers. The employment index is now just barely above the 50 threshold. Manufacturing conditions improved in both advanced and emerging economies, but more among the former than among the latter. 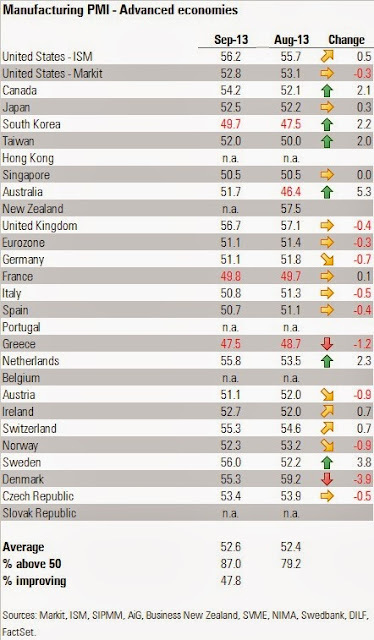 The average composite PMI in advanced economies was 52.6 in September, up from 52.4 in August. 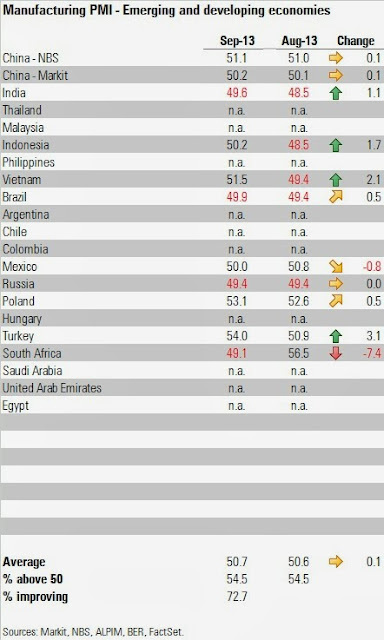 The corresponding numbers in emerging and developing economies were 50.7 and 50.6, respectively. Eighty-seven percent of advanced economies posted a composite index above 50, versus 55% among emerging and developing countries. The largest improvements corresponded to Canada, South Korea, Taiwan, Australia, the Netherlands, Sweden, India, Indonesia, Vietnam, and Turkey. 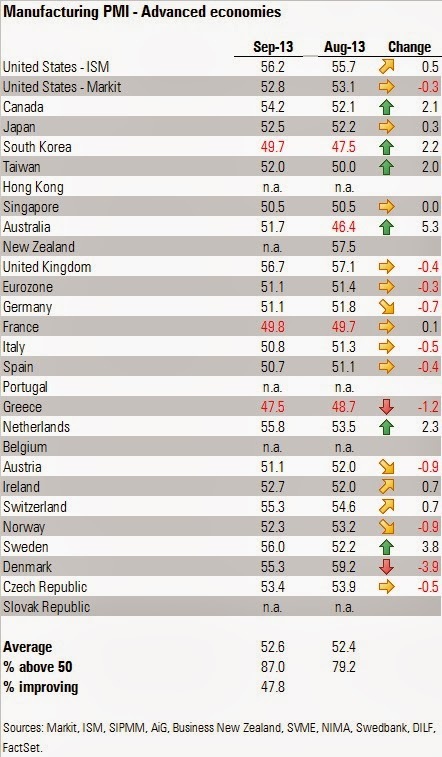 The largest declines were posted by Greece, Denmark, and South Africa. Overall, the numbers overall speak of lackluster, although expansionary, conditions in the manufacturing sector. The sector seems to be expanding at a faster rate in advanced than in emerging economies. Find the Markit press releases for September here.